Uilleann for iPhone is an authentic sounding 3/4 set of Irish Uilleann Bagpipes chanter, drones, and two regulators in the form of a standard two octave piano keyboard. 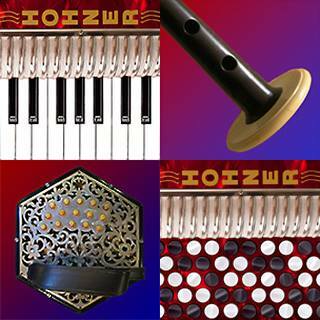 The app plays in all of the popular keys for the Uilleann pipes: D, C#, C, and B. The Uilleann pipes are a complex, bellows blown bagpipe that is commonly used in traditional Irish music. It is heard quite often in movies with Irish themes because of its very unique sound. The range of the chanter is from D4 to B5 (referenced to D, transposed to the selected key). Touch the drone puck image to switch the drones on and off. Touch the keys to play the chanter and regulators. Chanter keys light up green, regulator keys (the lowest two keys) light up red when touched. 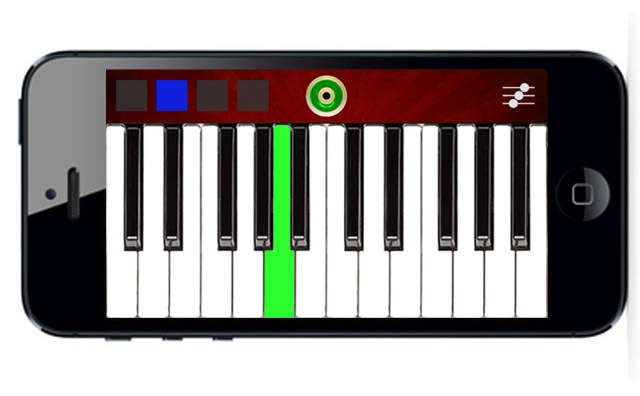 The regulators may also be played using the squares above the left side of the keyboard. You may also play the regulator chords on the top and bottom halves of the lowest two notes (C and C#) on the keyboard. Finger vibrato for expression, as is done on the real instrument, can be added by sliding back and forth vertical along the length of the chanter keys. The note C has an extended pitch bend range as typically used when playing a real chanter. The low (bottom) D note is generally not played with vibrato on the real instrument, so vibrato is not available on that note in the app. The reverb level and volume balance between the drones, regulators, and chanter may be adjusted using the sliders. MIDI Chanter control for the Fagerström Technopipes and other MIDI chanters. Connect your MIDI chanter first using a hardware MIDI interface, then launch the Uilleann for iPhone app. On the controls page you can set the MIDI channels and bottom-D lowest MIDI note for your MIDI chanter. Range for the lowest chanter MIDI note is from 55 to 79. The four regulator pairs now may be played on the MIDI channel one higher than the chanter starting on MIDI note 64 (E3). Notes 64 - 67 play the regulator pairs. These notes match the mapping for the same baritone/tenor regulators used in the iPad version of the app. I've found that to best emulate the sound of the pipes, it helps to practice playing both legato and staccato styles. Practice playing tunes with as little separation between the notes as possible to create smooth passages, but also mix it up with more staccato phrases. There are two sets of volume controls on your device, the overall volume control using the hardware buttons, and the drone/chanter balance controls on the back page of the app. This allows optimal volume for a wide variety of uses and situations from live play, to use with headphones or plugged into an external amplifier. If you experience any distortion or overloading, first try setting the app volume to mid-range, then increase the device volume as required. Try sliding from the Ghost-D (D#) to the back D for a nice effect. You can also slide between buttons for interesting effects. For some real fun, run the output of your iPad through an external amplifier or outboard effects. I use a Roland Cube-ST portable amp that has both reverb and chorus effects, the end result is quite amazing. Q: How does the pitch bending/finger vibrato work? A: Each chanter note key is divided into two zones, the top half of the key (for the white keys, the top half of the area below the black keys) is the note with no pitch bend. As the finger moves down from the middle of the key to the bottom, the pitch is lowered by an amount simulating typical finger vibrato. The C note has an extended bend range. Two-tone drone puck image courtesy of Mike DeSmidt, from a 3/4 concert pitch set he built himself.